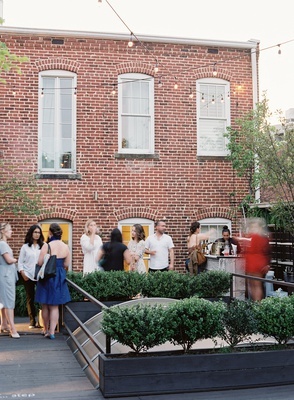 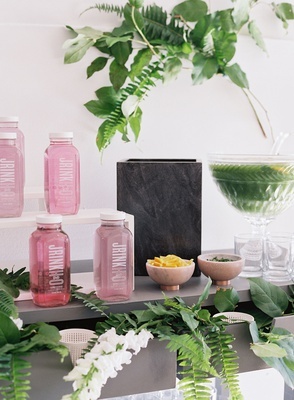 When cohosting a spring event in Washington, DC with Heirloom DC, the EVOKE team worked with a group of local creatives to produce an impactful and inspiring soirée. 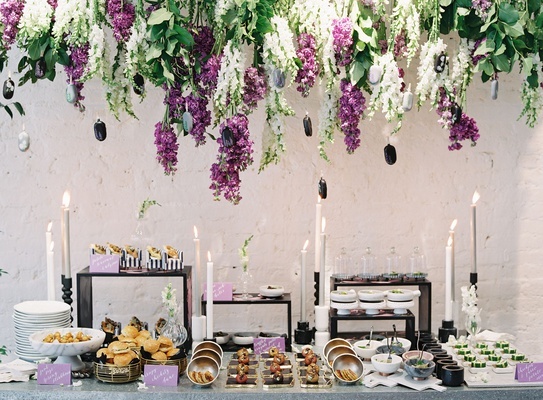 Designed around the idea of an enchanted garden featuring cascading wisteria accented by raw wood textures and moody floral elements, the celebration provides inspiration for couples planning their engagement parties, bridal showers, or even their wedding ceremony or reception. 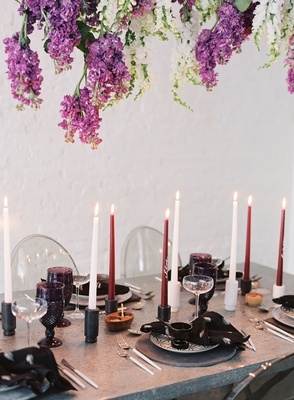 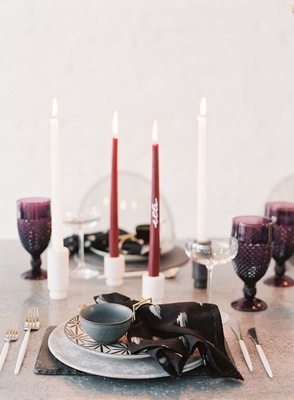 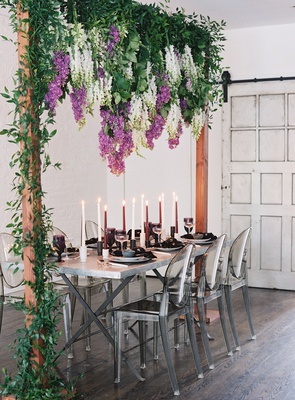 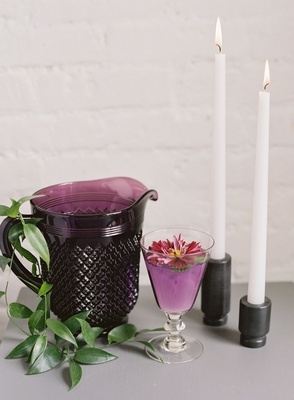 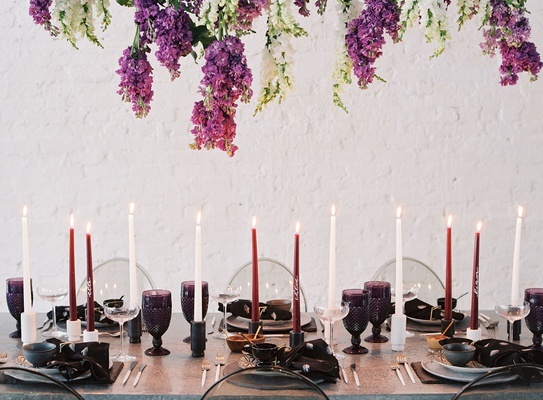 A spring palette of greenery and pops of purple was paired with industrial elements, such as a metal table, smoky Ghost chairs, and a wooden arch. 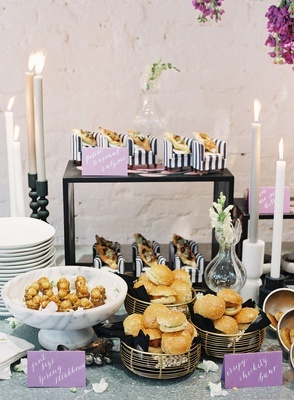 A seating area featuring a velvety Chesterfield sofa with lightly patterned pillows provided a space for guests to relax and enjoy light bites and libations. 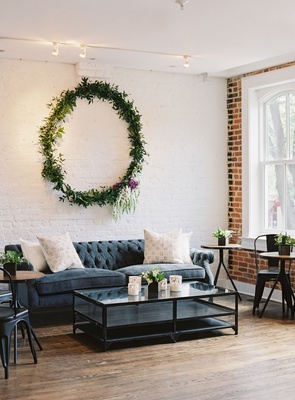 A halo of greenery and florals was placed above on the white-brick gallery wall as sunlight flooded through the adjacent windows. 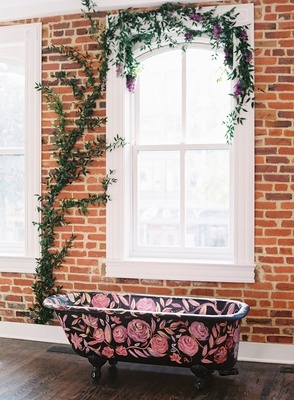 For a unique décor element, a vintage bathtub hand-painted with a floral print was filled with flower ice cubes and canned wine. 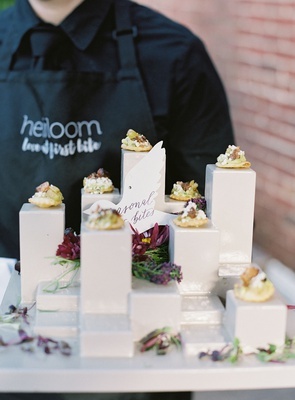 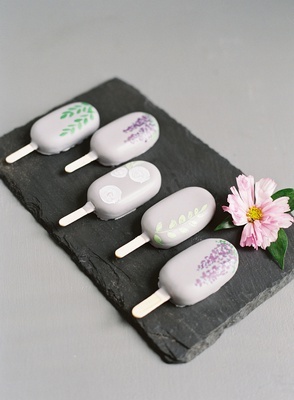 Guests also enjoyed a variety of small appetizers, including calzones, chicken sandwiches, burrata boats, and seasonal bites served from trays or a stylish food station showcasing suspended florals and ice-cream pops overhead. 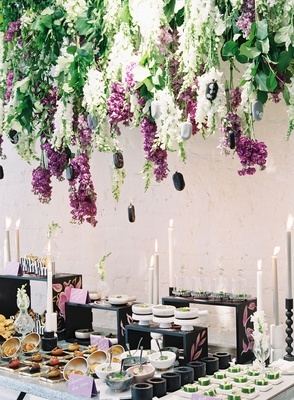 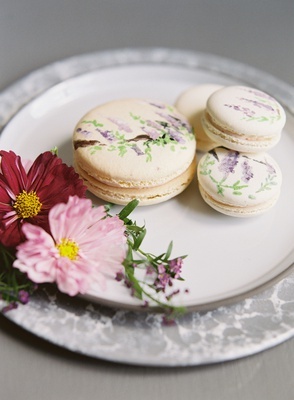 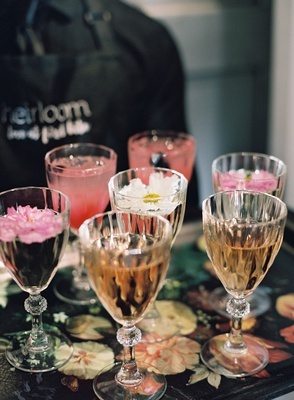 Take a look at the event photos, above, for more inspiration for your own fête!